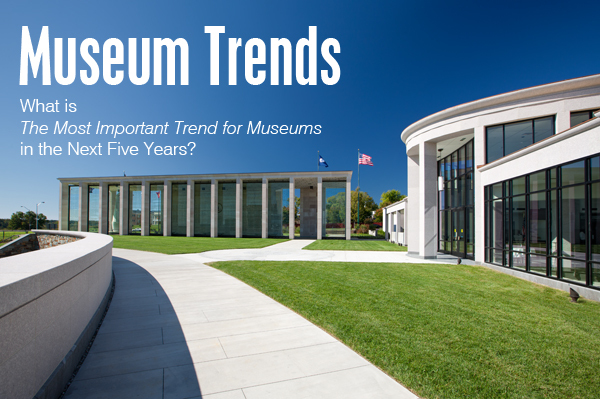 What are the Most Important Trends for Museums in the Next Five Years? What is interesting about this list is that nearly every response addressed either financial conditions or a focus on visitor engagement. This points out to us that while funding streams are always an issue for museums, there may in fact be a shifting dynamic with an increasing focus on the visitor and visitor engagement at our cultural institutions. This is consistent with discussions that we have had with many of our cultural clients. With the economic changes happening in the last few years, enhancing the visitor experience, and engaging our visitors in new or unique ways is becoming a greater focus. Is the curatorial department taking a back-seat? We hope not, we all know that there is a fine balance to be maintained between increased visitation and good stewardship of collections. This is an interesting point of discussion, about which we hope to hear more from all of you in the museum community.